Xtreme Cover System for the Beavertail® Predator Field Blind. 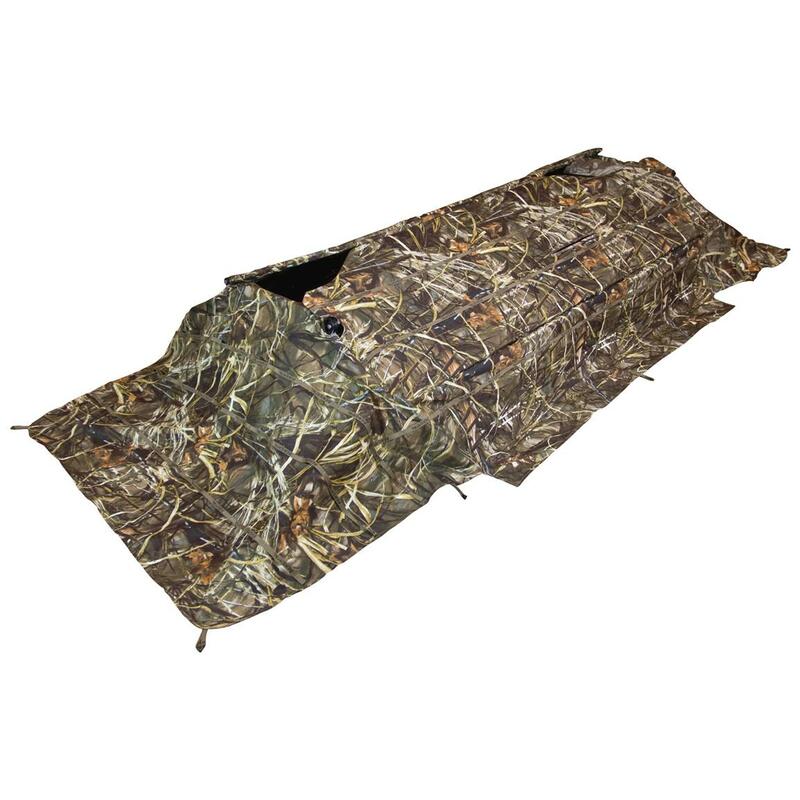 The XCS Xtreme Cover System attaches to your Predator or Predator XL Field Blind, providing effective Realtree® Max-4® camo and quick pop-open action. Its aircraft-grade aluminum frame is the strongest on the market, and the 600D waterproof fabric keeps you and your pooch dry and comfortable all day. Measures 8'2"l. x 3'2"w. x 8'h., weighs 16 lbs. A classic Turkey Vest with modern updates. Cockpit is 6'3"'l. x 2'5"w. x 9"d.
Measures 9'l. x 2'8"w. x 1'1"d. overall. Weighs 70 lbs. A stable duck hunting kayak.